The Nike Air Foamposite One is making a comeback for Halloween with a spooky jack-o-lantern inspired colorway perfect for kids. Not too much info is available about this upcoming pair, but the playful take is most likely a grade school exclusive given the candy corn heel stitching that doubles down as eyes for the menacing pumpkin-carving homage. 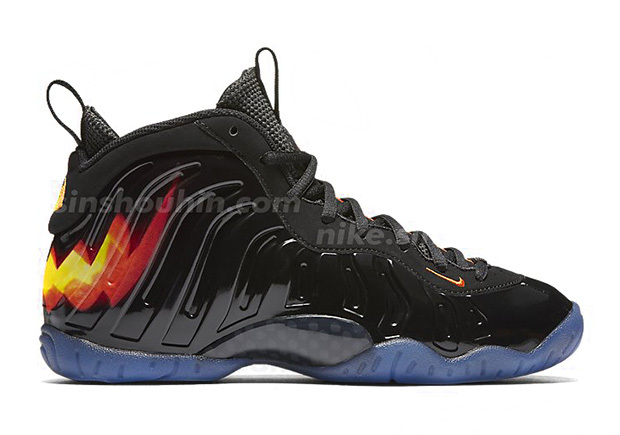 Most surprising about the Nike Foamposite Halloween is the fact that Nike Sportswear decided to dress the upper in a black base instead of orange which allows for the heel graphic to truly shine. A darker than usual icy outsole adds a nice finish while the Swoosh branding stands out in dark orange stitching. Check out more of these Halloween Foamposites after the break and be on the lookout for this pair to arrive at retailers this October. 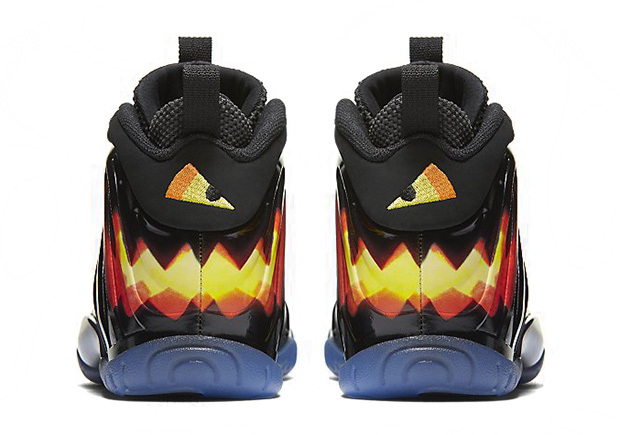 Update: The Nike Little Posite One “Halloween” releases on October 15th, 2016 for $180.